Highlights: As a freshman and sophomore, Kelsey played both fall and spring seasons. During her junior fall season, she played primarily 5 or 6 doubles on varsity team where the team recorded an 11-0 winning season. 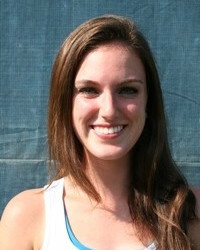 In spring 2014, Kammerzelt also played 5 singles where the team recorded a 13-0 winning season.